The Pumping Iron: Extreme Armor Building Challenge is wrapping up over on Reasonably Clever. 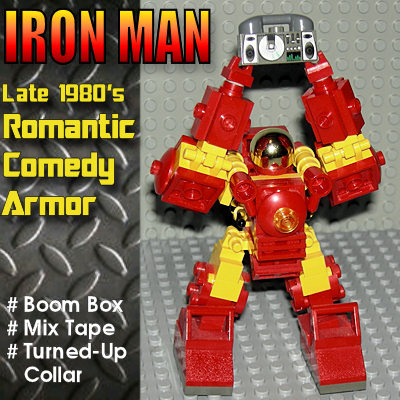 Chris Doyle has a great example entry, “Late 1980’s Romantic Comedy Armor”. Ha!